A comfortable alpine harness. the Women's Eleve Harness features adjustable leg loops with a longer base that lets you find the optimum position above the hip bones. The Women's Eleve Harness has a laminated construction to give perfect load and pressure distribution with a minimal pack size. 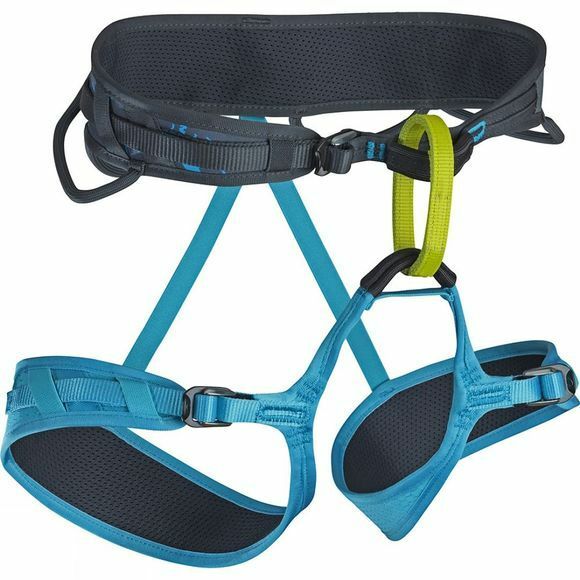 Slide Block buckles on the waist and leg loops can be fully unthreaded to make it easier to put on or take off the harness while wearing skis or crampons.